Drinking and driving is unfortunately a fairly common practice in the United States. It causes many problems for offenders including personal injury or injury to another driver, loss of license, jail time and increase in insurance premiums. Loss of license and changes in insurance costs and coverage are the two consequences that often stay with a DUI offender for the longest period of time. A DUI can cause major changes in driving. This article will explain these changes and how they affect a DUI convicted driver. After someone receives a DUI, the officer will often take away the offender’s license immediately. This loss of license is only temporary as the offender can request a restricted license to get to work, school or other responsibilities on a daily basis. The offender can only gain these restricted driving privileges if they ask the court for them in a certain period of time following the incident, which is usually around 10 days. If this request is not made, the offender’s license can be suspended for 1-5 years depending on the number of previous convictions and other factors. Even if you have been a great driver without any infractions, a DUI (Driving Under Influence) or DWI (Driving While Intoxicated) can cause major changes in your insurance costs and sometimes the coverage as well. Insurance costs are determined based upon the likely hood that the policy holder will be in an accident. If you have a DUI on your record, the insurance company will not have much faith in your decision making while driving. This will result in skyrocketing premiums and even loss of coverage. 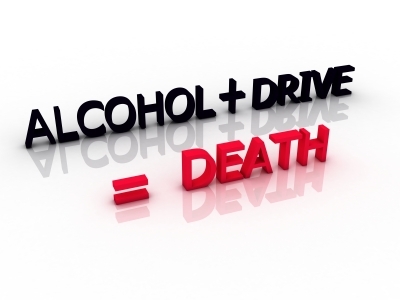 A person who drinks and drives is a huge risk to cover in the insurance company’s eyes. In some cases your car insurance can raise $3,000 a year for 3 years or more. That’s at least an increase of $9,000 just to be able to insure your car. Because insurance companies and state officials lose faith in those who drive irresponsibly, an SR-22 or other type of paperwork may be filed before insurance coverage will become active again. This is a form that the driver must sign that makes them take additional financial responsibility for driving. An SR-22 form is almost always required after a DUI conviction if you are going to continue to drive. An SR-22 form is also required for driver’s that the insurance companies deem as ‘high risk’. The form requires policy holders to carry state mandated coverage limits, which can become quite costly. When convicted of a DUI most people focus on the immediate penalties like spending time in jail, losing their license, and any fines that need to be paid. But as you can see, huge increases in the cost insure a car after a DUI conviction coupled with license suspension and fines can really add up. It’s imperative that you do not drink and drive because one incident will last with you for a number of years after.